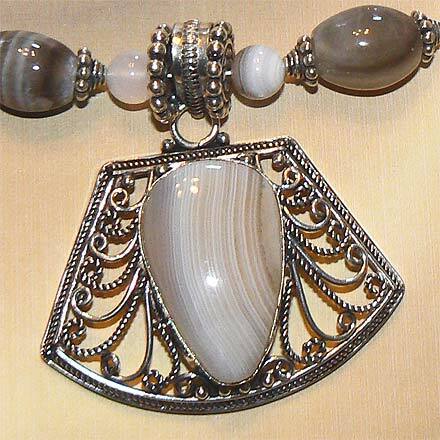 Sterling Silver Botswana Agate Necklace. See Closeup. 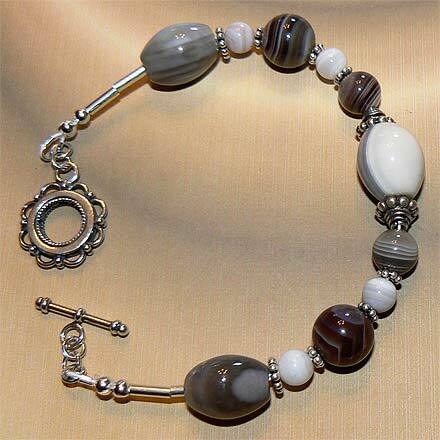 Sterling Silver Botswana Agate Bracelet. 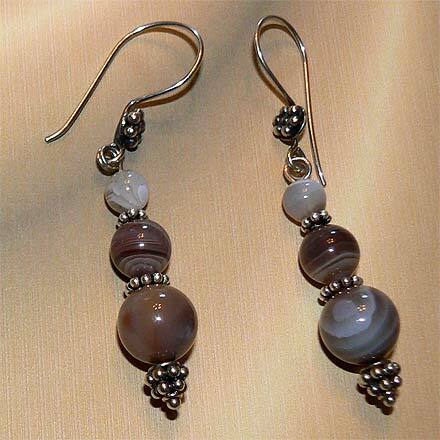 Sterling Silver Botswana Agate Earrings. 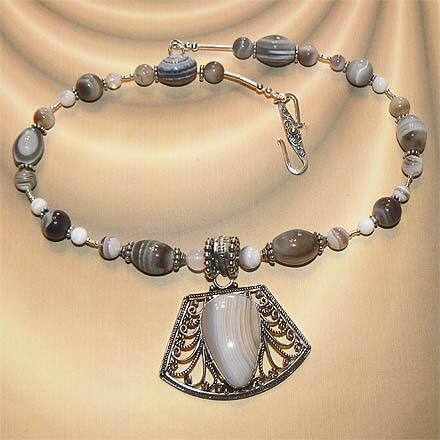 Get lost in all the fascinating concentric bands and striations that comprise the look of Botswana Agate.